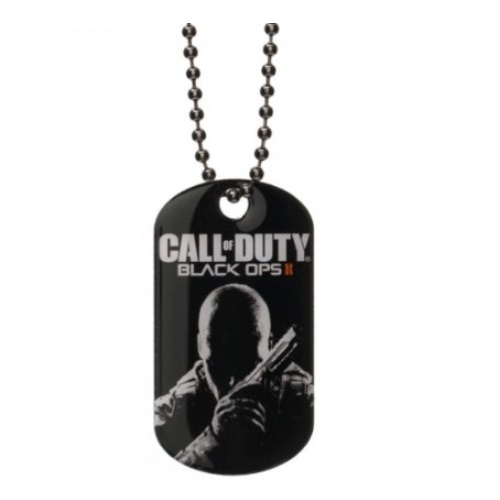 Product Detail Summary: Official Call of Duty Black Ops II dog tag necklace. Dog tag is 2" in length. Necklace measures 22" around neck. Image printed on front. Back of the dog tag has copyright information.